Caroline Kepnes’s most famous novel, You, is becoming a TV series this fall starring Penn Badgley, known Gossip Girl, as the protagonist. The show is scheduled to start airing on September 18th but frankly, I don’t know that much about it. However, Kepnes also has a new book out this summer, so let’s take a look at three published books she has out so far to get excited for the TV show. Best friends in small-town New Hampshire, Jon and Chloe share a bond so intense that it borders on the mystical. But before Jon can declare his love for his soul mate, he is kidnapped, his plans for a normal life permanently dashed. Four years later, Chloe has finally given up hope of ever seeing Jon again. Then, a few months before graduation, Jon reappears. But he is different now: bigger, stronger, and with no memory of the time he was gone. Jon wants to pick up where he and Chloe left off . . . until the horrifying instant he realizes that he possesses strange powers that pose a grave threat to everyone he cares for. Afraid of hurting Chloe, Jon runs away, embarking on a journey for answers. Meanwhile, in Providence, Rhode Island, healthy college students and townies with no connection to one another are suddenly, inexplicably dropping dead. A troubled detective prone to unexplainable hunches, Charles “Eggs” DeBenedictus suspects there’s a serial killer at work. But when he starts asking questions, Eggs is plunged into a whodunit worthy of his most outlandish obsessions. 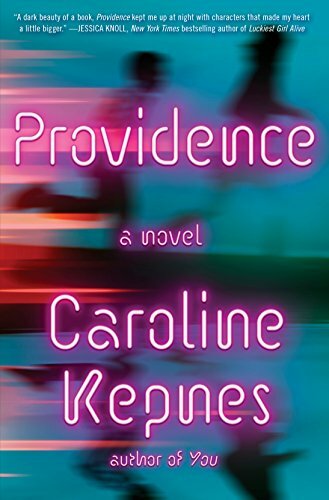 In this dazzling new novel—and with an intense, mesmerizing voice—Caroline Kepnes makes keen and powerful observations about human connection and how love and identity can dangerously blur together. When a beautiful, aspiring writer strides into the East Village bookstore where Joe Goldberg works, he does what anyone would do: he Googles the name on her credit card. There is only one Guinevere Beck in New York City. She has a public Facebook account and Tweets incessantly, telling Joe everything he needs to know: she is simply Beck to her friends, she went to Brown University, she lives on Bank Street, and she’ll be at a bar in Brooklyn tonight—the perfect place for a “chance” meeting. As Joe invisibly and obsessively takes control of Beck’s life, he orchestrates a series of events to ensure Beck finds herself in his waiting arms. Moving from stalker to boyfriend, Joe transforms himself into Beck’s perfect man, all while quietly removing the obstacles that stand in their way—even if it means murder. 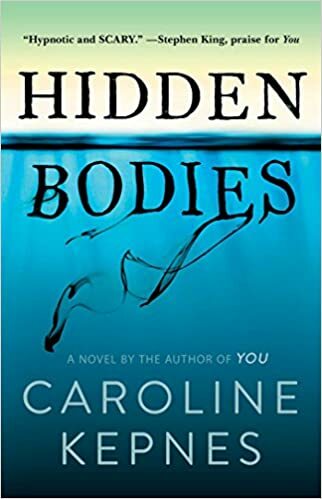 A terrifying exploration of how vulnerable we all are to stalking and manipulation, debut author Caroline Kepnes delivers a razor-sharp novel for our hyper-connected digital age. 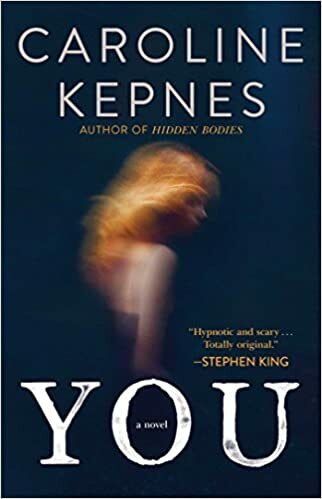 You is a compulsively readable page-turner that’s being compared to Gone Girl, American Psycho, and Stephen King’s Misery.